Enjoy the pure goodness of cranberry in every bottle! 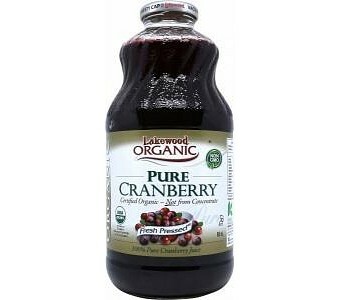 Made from 100% freshly pressed, certified organic cranberries, this juice is undiluted, with nothing artificial added. It is pasteurised and vacuum sealed in glass bottles to retain it's freshness. Loaded with anti-oxidants, flavonoids, iron, magnesium, and vitamin C, it has many health benefits. Due to their anti-adhesion properties, Cranberries are renowned for treating urinary tract, bladder and kidney infections. Due to their high anti-oxident and phytonutrient properties, research shows that they may help to prevent cancer and heart disease. Enjoy full strength or combine one part cranberry juice with 2-4 parts water or other juice.